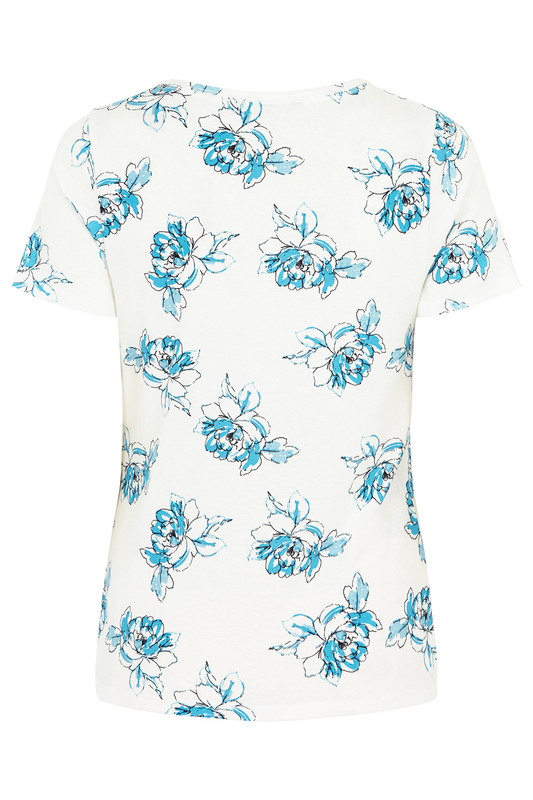 Create a summer-inspired outfit with this pretty T-shirt. 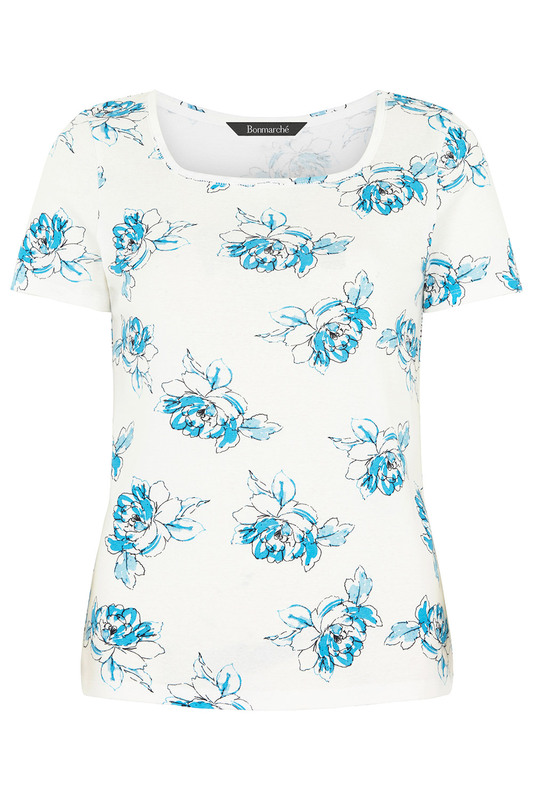 It features a sketched floral design that will brighten up your favourite pair of simple jeans or crops. 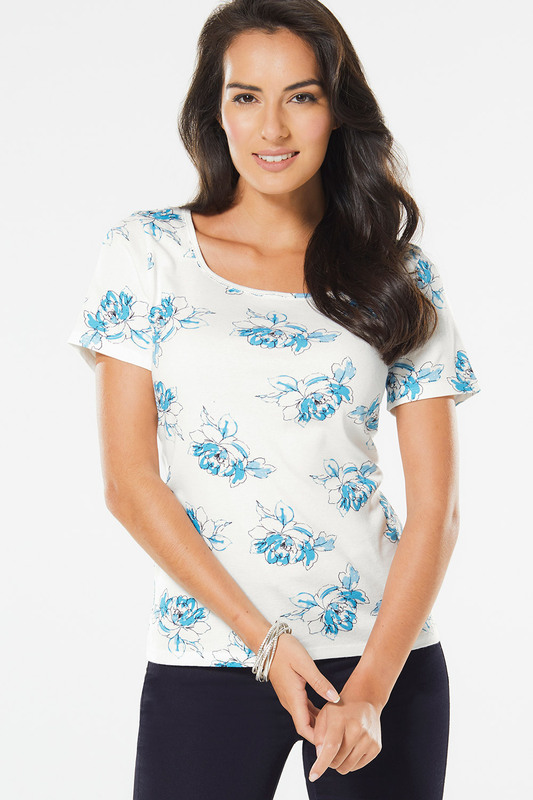 The T-shirt has a flattering square neckline and short sleeves to keep you cool on warm days. Made of pure cotton, the T-shirt is comfortable and soft.